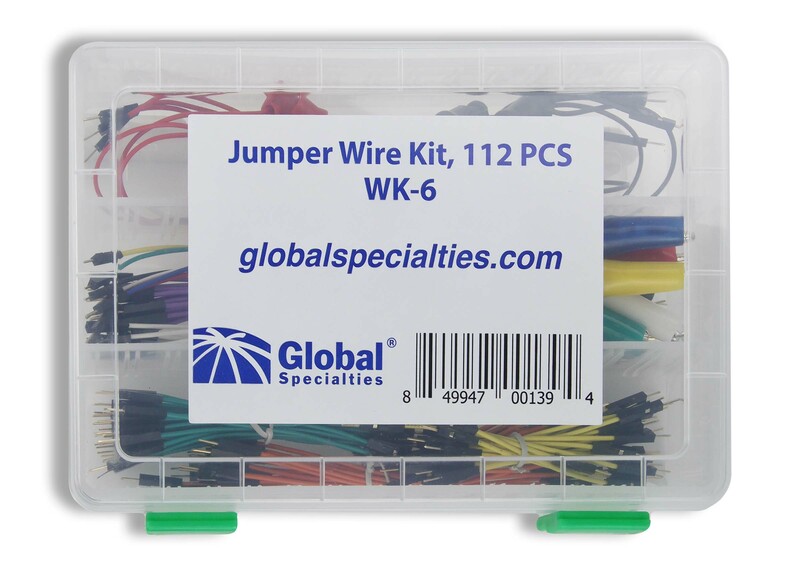 The WK-6 Wire Kit contains 112 pre-cut #24 gauge insulated stranded wire. 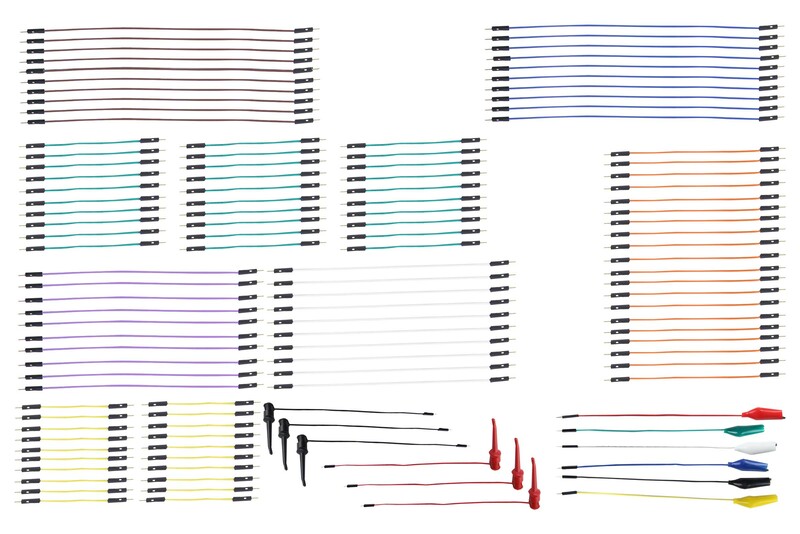 Each wire comes with gold-plated brass pressed pins on each end to allow for extended insertion life and maximum surface contact. 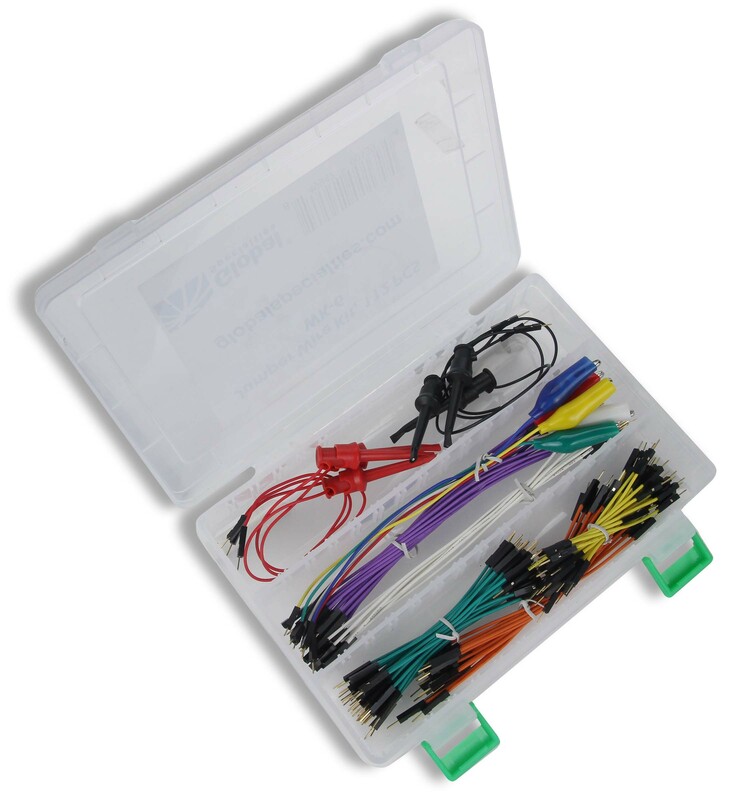 This kit also contains 10 male to female, 6 male to alligator clip, and 6 male to IC clip jumper wires for added versatility. The WK-6 comes in a convenient plastic case and comes with both UL and RoHS.